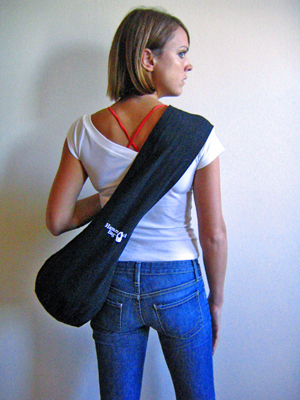 Hammock Bag™- Located just around the shoulder™. 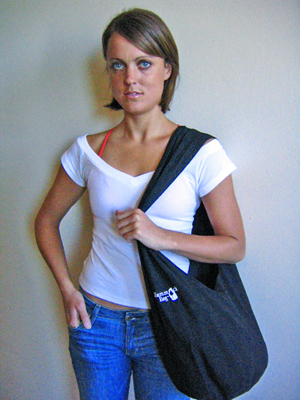 Use Hammock Bag™ on the slopes, at the beach, gym, campus, lakefront, your commute to work, athletic fields, or 5th Ave. Use Hammock Bag™ for fashion, traveling, or gift idea. A simple bag for the not-so-simple individual. 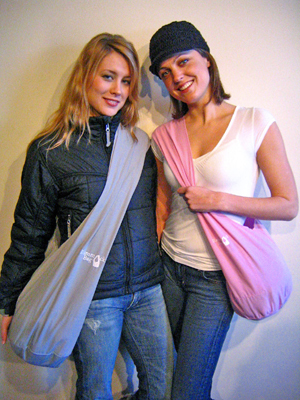 Simply tie a knot to shorten or close a Hammock Bag™. NEW COLORS! 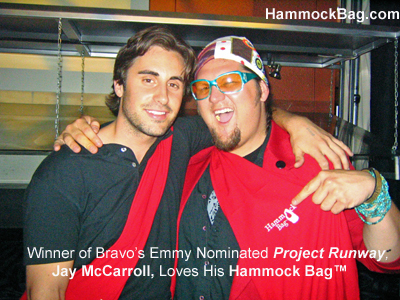 Check out Jay McCarroll, Winner of Bravo's Project Runway, wearing his Hammock Bag™! Transactions are completed securely using PayPal®. 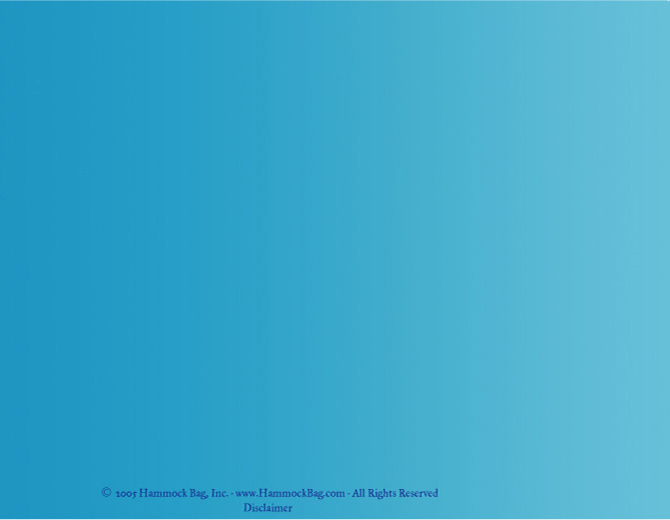 You do not need a PayPal® account to complete your purchase. Credit cards only.